Customers are the root of your business success. Your sales, client roster, credibility and profit are all built on the strength of your relationships with your clients. So how are you managing your relationships with those customers and clients? 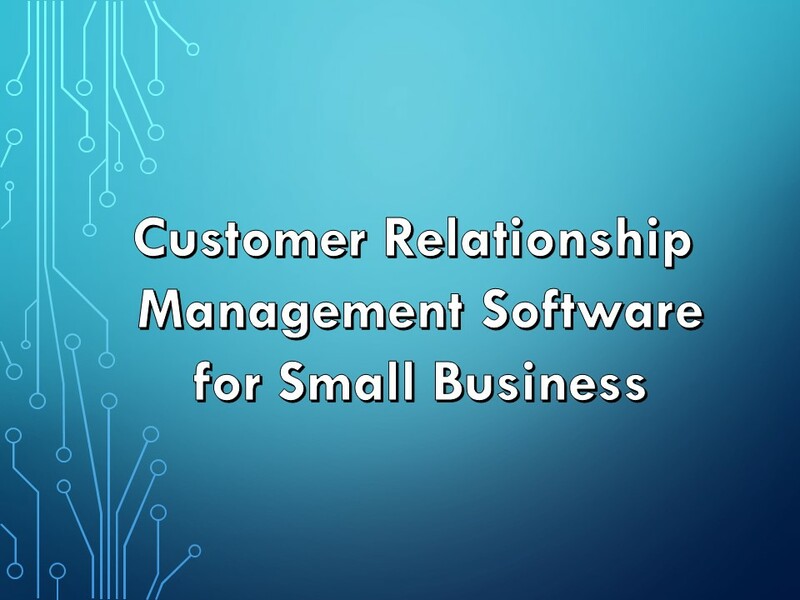 As your business grows, it may be time to consider implementing a customer relationship management (CRM) system. At its core, a CRM is like an address book with extra bells and whistles, like calendars and reminders. But beyond your CRM dashboard — which might be on your desktop computer or based completely online — this tool can help you figure out better ways to work with your customers. According to one survey, 56 percent of business owners want to improve customer experience and retention, and 45 percent want to invest in customer acquisition. But only 29 percent use a CRM system to manage their customer relationships. There are dozens of CRM options out there, including names you might recognize like SalesForce, Oracle, SAP, Sage, Infusionsoft, Zoho and Insightly. As your customer base grows, your CRM needs may evolve. But this evolution may come with additional costs. Consider the tools you most want to use to nurture your business relationships. Do you want to attract sales through an email drip campaign? Do you need to track which products are most popular? Do you need to respond to client helpdesk requests quickly and easily? By evaluating the needs of your client base — and how you expect it to grow in the next few years — you can better anticipate your CRM needs. A simple solution through your email marketing service may be enough to stay on top of your customers. But the more hands-on you need to be with individual customers, the more you may desire an advanced CRM than can grow with you. Most businesses adopt some type of CRM within two years of launch, and it’s a must-have if you expect your business team to grow in those early years. Do you have a sales team? A CRM will help them stay on top of leads, be more organized, keep from duplicating work and track goals. A CRM can also ensure that a customer receives consistent service no matter who answers their call or rings up their order. For example, you as the business owner might know that Mrs. Smith hates the color red, but will you remember to relay that information to your sales associate at the register? A note in your CRM can help your employees meet and even anticipate customer needs or desires. Consider two small business examples: A bustling coffee shop and a small web-design company. The coffee shop can typically wait for customers to come in on their own (in search of caffeine, of course), using social media tools and email blasts alongside its point-of-sale system. The coffee shop might have 100 customers in a day, with each customer bringing in $5. The web design company, on the other hand, may only have 10 clients in an entire year, but may earn $20,000 from each one. The cup of coffee or pastry purchase can be made with little thought. The decision to the work with the web design company could take weeks or months. How complex is the relationship-building process with your customers? Can they make a quick decision to buy your product or service? Does it take several sales calls or meetings to help them make the decision to work with you? If it takes a considerable amount of time to nurture sales leads that pay off big-time, you may want a sophisticated CRM to match. Your customer lifetime value (CLV) will be much higher in the long run. Want guidance as you evaluate your business’ CRM needs? Contact a SCORE mentor today.